This Thursday at 9 PM, Mojo’s in South Charleston welcomes Headliner Marcus Oglesby to the stage for a free performance. That’s a sample of his work at the top of this post. Marcus Oglesby is one of West Virginia’s most beloved storytellers and comedians. 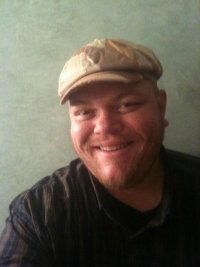 A master raconteur, Oglesby spins comedy gold out of his experiences growing up biracial in Southern WV. Marcus spent years as a singer/songwriter before bursting onto the comedy scene in late 2010. In December Marcus will opening for Tryone Davis in Daytona Florida. Also featured Thursday night will be Michael White. You can also catch your Mojo’s favorites including Chris Ryan Carrier, Andy Frampton, and Lynn Browder. The evening will be hosted by Patrick Felton. There is no Cover, but donations will be accepted to help pay the comedians.